Indiana fans can help Archie, or get out of the way. But they shouldn’t make the job tougher. Indiana is not playing good, tough, collective basketball, and fan frustration is about to explode all over Simon Skjodt Assembly Hall. Seven weeks are left in this season, and it appears to be heading to a destination all Indiana fans have are way too familiar with – disappointment. The majority of the last 25 seasons have seen the same crazy annual cycle – wild optimism, occasional solid play fueling greater optimism, mediocre play, crushing depression. Wash, rinse, repeat. Here’s an idea. 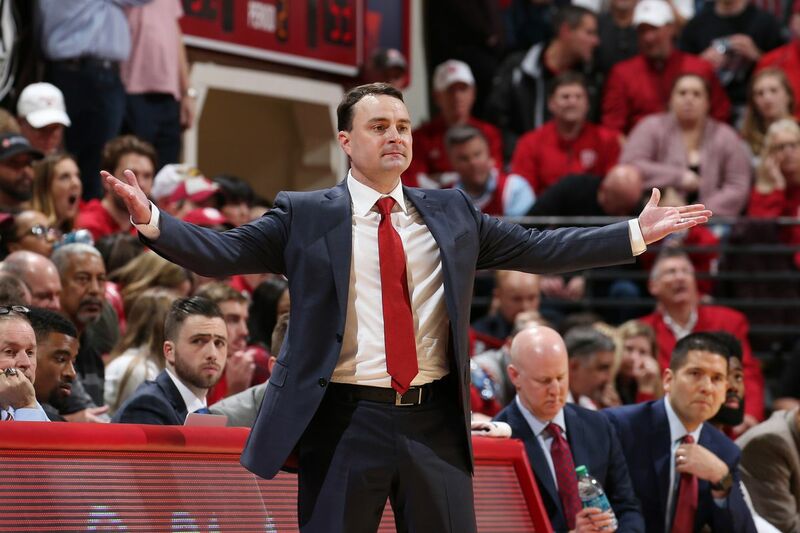 Let’s control what we can (expectations), let players do their job (improve), and allow Archie Miller to coach without concern for our feeble emotional bleatings and calls for him to be replaced. Indiana is not what it was during the 1970, 1980s, and the first half of the 1990s – a basketball program capable of winning an NCAA Tournament every five years, contend in two of the other four, and win a Big 10 title every other year. Expecting a return to that level of routine excellence is insane. Be patient, understand that building a culture can take time, and allow Miller to restock the shelves with Indiana talent. Take a deep breath. Know that 90% of what you say or write on social media is at best harmless, and at worse a poor reflection on a fanbase that needs to be a positive force as recruits and their families evaluate IU. We tend to think of ourselves as a great fanbase – passionate defenders of the realm; a group that only wants the best. Has it ever occurred to any of us that we might be one of the reasons for the program to be stuck in the middle of a quarter century of failing to meet expectations? It should, and we should embrace our potential roles in fixing it. Calling for Archie’s head is ridiculous, premature, and does nothing to help him succeed in the way we would like. Being hyper critical of players who work a hell of a lot harder than we realize does nothing to motivate them to continue to pony up. Assailing an athletic administration that is trying to represent and please a broad and demanding spectrum of factions is challenging under the best of circumstances. I’m not saying that blindly praising them is the road to a championship, but understand that Tom Crean left this thing completely boogered. Rebuilding Rome (or Bloomington) can’t be done in a day. If you need to express outrage, do it like we used to – throw a $30 recliner off the Walnut Knolls balcony – or just scream for five seconds and order another beer. Then relax and laugh with friends. In Hoosiers – the cinematic bible of basketball in Indiana – Rollin cleared the Hickory gym for Norman Dale to allow the coach to do his job. We need to metaphorically do the same thing. I don’t know if Archie is the absolute right guy for this job, but I can damn sure tell you that if we make it more difficult for him, we will be partially responsible for his failure. Let’s get out of the way – clear the gym. Let Archie do his job – tear ’em down, and build ’em back up. Let’s give Archie the best chance at success rather than make it tougher for him and the Hoosiers. 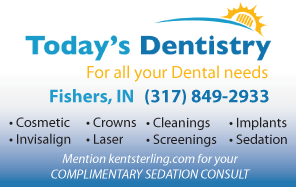 This entry was posted in Featured Story, Indiana Basketball and tagged Archie Miller, Indiana Basketball on January 26, 2019 by Kent Sterling. If you continue to think like you always thought, you’ll always get what you always got. Try a different way of thinking. Obviously the other way isn’t working. Nice post Kent. I agree with one thing, it is too early to call for CAM’s job. With that I see one consistent thing with the last 18 months. The shooting is very average and there is little player movement on the offensive end. This concerns me. I am patient but the current team is not watchable. I agree: There is no motion offense here. The IU offense is “pass the ball around” once and try to get the ball into Morgan. This is very predictable and a bit short in creativity. Guess what! We are paying a guy $3.0 Million a year for this! No accountability = No results. This is management 101. I agree with a lot of what you say here, Kent. A coach should get three years minimum to show that he has a handle on the job and can steer it in the right direction. However, if the stupid fans have an adverse affect on basketball program because they post stupid stuff on social media, the program is in deep trouble. Coaches will be coaches and fans will be fans. That has been the system since they hung peach baskets. I don’t expect anything to change anytime soon, so the coaches and players will just have to toughen up. And come to think of it, that is what Archie said he wants to do anyway, so maybe the stupid fans are helping by being passionate . . . and even stupid. ARCHIE MILLER’S CURRENT CONTRACT EXCEEDS $20 MILLION (10th highest in the country). He makes more money than ROY WILLIAMS at UNC. I guess that we need to accept mediocrity (or less), right?. I am not in favor of firing Miller, but I am also not in favor of paying $20+ Million and enduring another 10 years + of “rebuilding”. Kent, I particularly enjoyed your comment about Tom Crean “boogering up” IU. I seem to remember multiple articles where you praised Crean for turning the program around. Kent, I am a little confused here. I would like to know if Fred Glass added any prescribed milestones to Miller’s current contract. Kent, maybe you could help us here. Really? Do you not understand what happens to a team when they lose half of their intended rotation? I used to think we had the most knowledgeable fans in the country. Unfortunately, its posts like yours that make me realize I was wrong! Jason, are you awake yet? On Saturday, I will give you another wake-up call. Fan expectations should have no bearing on how good or poor a basketball team is. If a program is affected by that ,then they have a problem starting at the top. To me that is a ludicrous reason for they’re short comings.Weak excuse for poor play from God’s team. IU basketball fans have always been unreasonable,non objective, and blinded with cream and crimson glasses. So let’s sit back this afternoon to see if PU can hold off Sparty. Joel, now let’s be calm, even though IU has not been competitive for quite a while, we must be patient and allow our coach who is earning $3 million a year to apply his skills to rebuild this program that was “boogered up” by the last few coaches at the helm, some of whom that .hired by the almighty Fred Glass, King of IU Sports. Oh!, by the way, pay no attention to those 5 banners at the end of Assembly Hall. They are just decorative flags of the past designed only to take up some space on a wall. There is no need to be disturbed or concerned. We must not live in the past as some have suggested. Damn those unreasonable fans that consistently show up to Assembly Hall even when the team was winning only 10 games a year. Here’s an idea let’s turn into IU football fans!!!! Then we all go drink at halftime and don’t return to the game, but who cares it’s IU football!!! Lame article! Sorry but if next year is like this year (I understand this year isnt over) then Arch could be in trouble. Are you telling us we are going to need to wait till year 4 or 5 to get back to the NCAA tourney, when Louisville after hookers and $100,000 payoffs is gonna be there this year with first year coach Mack. You have lost your mind Kent. Good advice for all us fans. Patience is a virtue. Not fun, but a virtue. And the Walnut Knolls reference brought back good memories. I was living there in the late 70’s, and quite a few things were thrown from the balconies, but during football season. Just how long have those apartments been there?? Let me count the ways IU fans have already been patient………….Bill Lynch, Kevin Wilson, Tom Allen, Mike Davis, Kelvin Sampson, Tom Crean………………………………..I’m getting old I want results. Are you kidding me? Where is the joke here? There absolutely should be expectations when you hire someone this is crazy. We place expectations on our children don’t we. Maybe I should just be patient when my son tells me he needs 7 years of college to graduate that it was his guidance counselors fault that “boggered” up his first two years. Fine you want to give Archie a pass this year what are the expectations for next year. Here are mine…Year 3, 17-20 wins and fringe NCAA teams, I don’t think that is so hard to do. Year 4-solid NCAA team maybe a 5,6 type seed. Year 5-Top 3 in the Big ten and solid 3,4,5 seed. That is not asking too much give me a break.